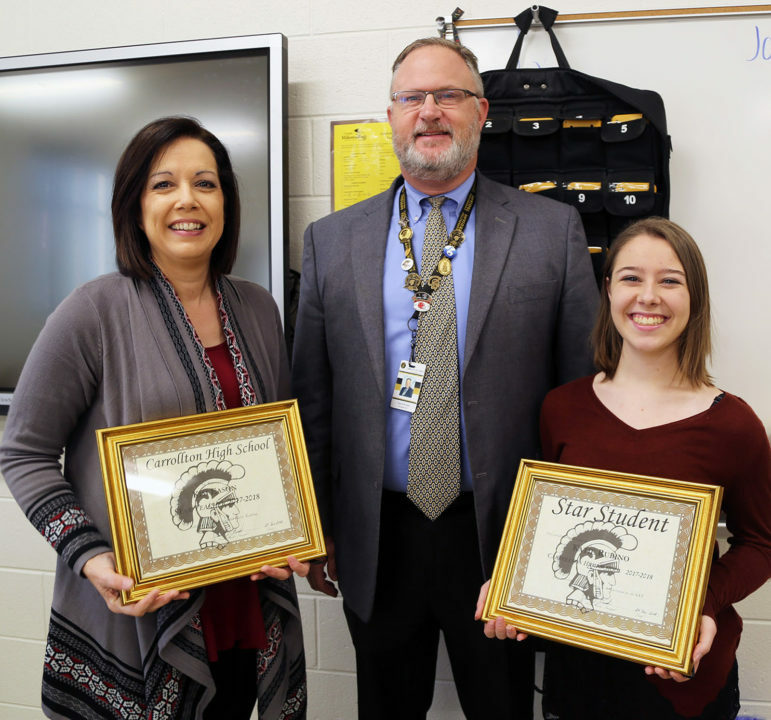 The 2018 Carrollton High School STAR Teacher, Kim Eason, left, and STAR Student Katie Rubino pose with CHS Principal David Brooks. 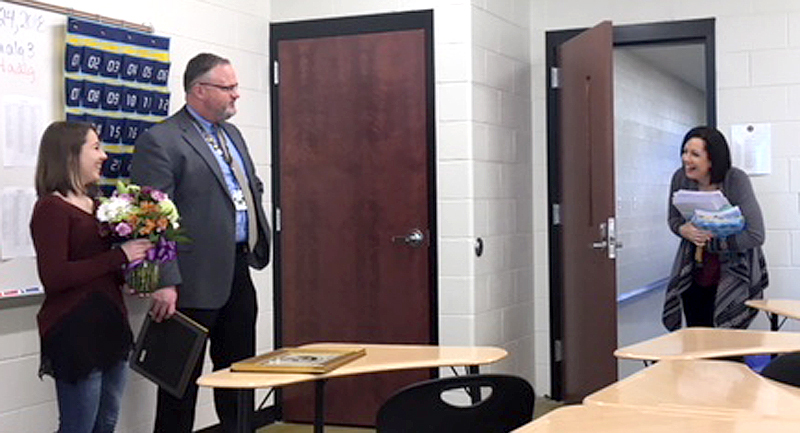 CARROLLTON, GA – Carrollton High School senior Katie Rubino was named the 2018 STAR Student at CHS, and what has become a recent tradition at the high school, surprised her STAR Teacher selection with a quick visit to her classroom Wednesday to make the announcement. She chose Kim Eason, who was Katie’s Accelerated Math teacher at Carrollton Junior High School. Eason, now a math teacher at CHS who also taught Katie as a freshman, was touched by the recognition. She said this group of seniors is the last group she taught at the junior high. The STAR student award is presented to the graduating senior who posts the highest SAT score of his or her cohort and is in the top 10 percent of the class. Katie scored almost perfect score in math, and plans to attend Georgia Tech to major in mathematics or the University of Georgia with a double major in mathematics and mathematics education. 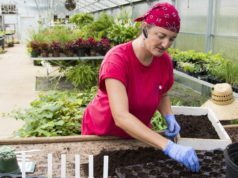 She is the daughter of James and Terri Rubino of Villa Rica. The pair now will compete at the region level with hopes of advancing to the state competition this spring. The STAR Student/ Teacher program is primarily sponsored by the Professional Association of Georgia Educators. CHS STAR Student Katie Rubino surprises her junior high math teacher Kim Eason with the announcement that she chose her as her STAR Teacher. Eason is now a math teacher at CHS. Principal David Brooks accompanied Katie to surprise Eason.